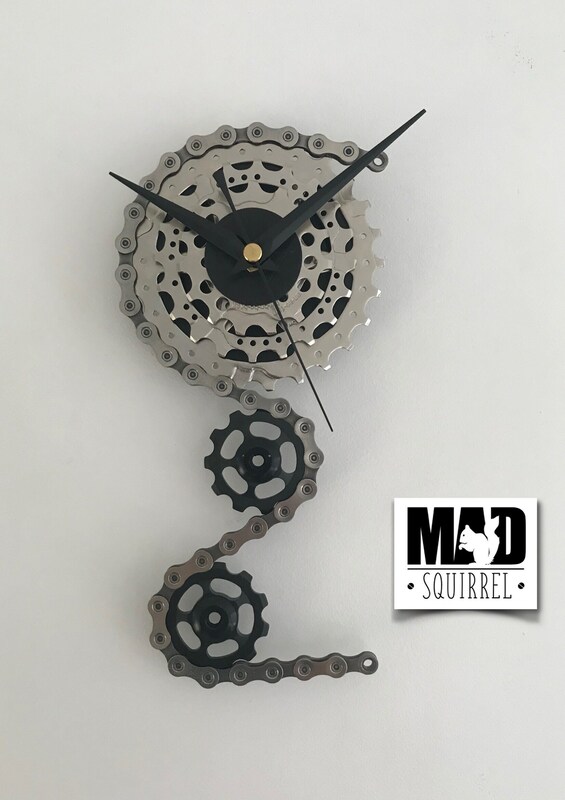 This Triple Sprocket Clock from MADsquirrel has been created from part of the rear cassette. 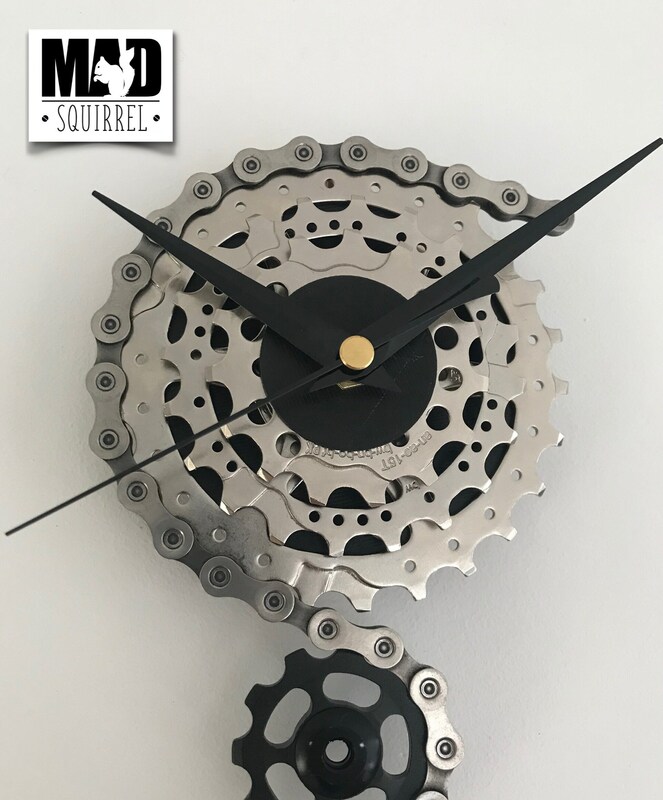 This clock uses 3 rear cassette sprockets, 2 jockey wheels from a rear derailleur which are black with a polished grey chain to finish the clock off. 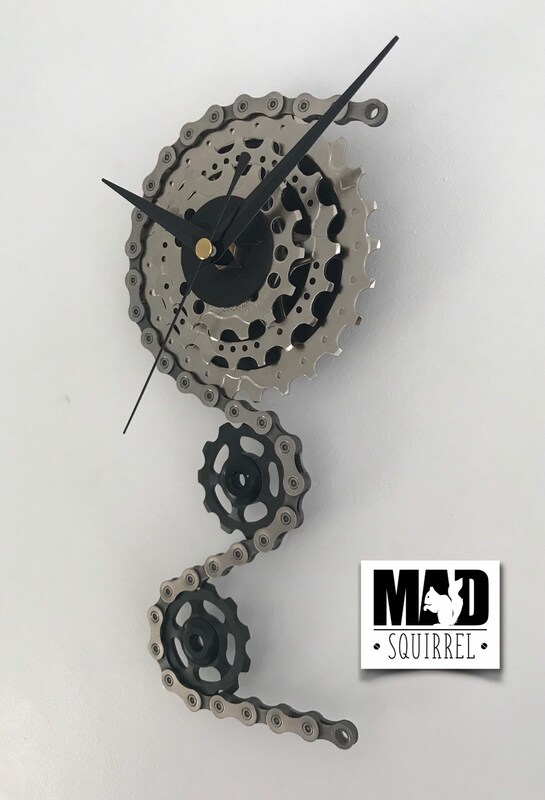 This open face clock shows off more of the cassette section and has a small face unlike older versions. 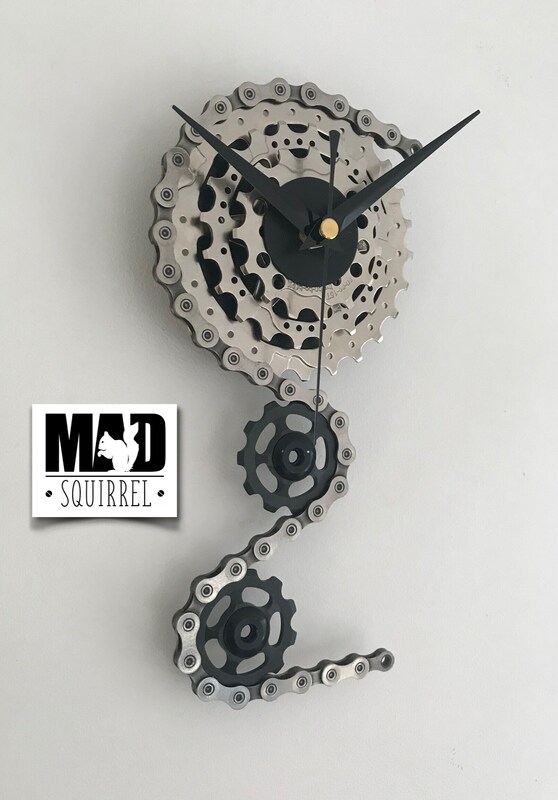 The chain has been shaped around the sprocket and jockey wheels to give the clock the simplified appearance of the rear drive section of a bicycle. 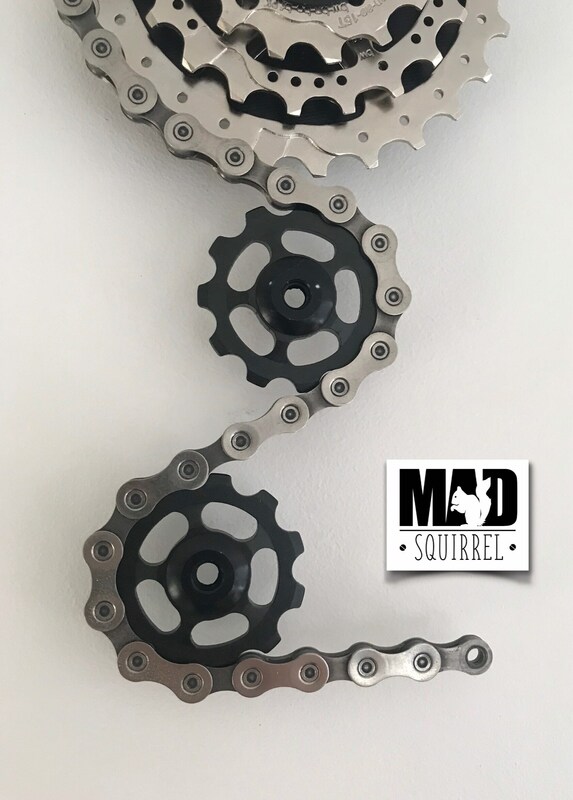 plus 20mm to dimensions as hands move round. The clock takes an AA battery which isn't included as can cause problems with Royal Mail.